Note: you left PayPal before completing your donation. We appreciate your desire to partner with us by investing in the lives and future of the children of Mozambique. Your support will not only change the life of an individual but help a country as well. If you stop and think about it that makes your support and life extremely significant! Evanjáfrica (learn more) For over 20 years the founder, Victor Carlos has made a dramatic impact in the lives of children. Evanjáfrica believes it's possible to alleviate suffering with the love of Christ. The organization is an African-founded nonprofit empowering children and families to build a better future. Victor and his organization are dedicated to orphan care, evangelism, education and community development. In 2003 he opened his first orphanage with the ambition to inspire kids to become leaders who will change their communities through hard work and Christian values. Those goals have been realized and now a second orphanage is planned in the area of Chimoio. For a real treat visit his website! Chosen Children (learn more) This ministry partner is motivated by God’s love for the millions of children and widows in desperate need of hope in Mozambique. The founder, Renuka Jeyanayagam, and her staff are dedicated to providing opportunities and resources that will transform the lives of each child and the communities they live in. Chosen Children provides food, shelter, medicine, educational opportunities and spiritual guidance to children living in areas around Chimoio in central Mozambique. Renuka and her staff visit orphans and families living in the outlying areas as well as providing a place to gather for vulnerable children living outside of the structured orphanage environment. You can find out a lot more about Renuka and her amazing work by visiting her website. New Life Ministries (learn more) About eight hours south of Chimoio in a community near XaiXai, Elias Becca and his wife Cibele are in charge of New Life Ministries. Their impact has been significant in the lives of the neediest. While Cibele runs the pre-school which impacts over seventy children, Elias spends his time caring for and meeting the needs of the orphans and widows in the community. In Mozambique, widows are abandoned with no safety net or means of support. New Life Ministries is busy changing that situation by providing housing and basic needs to the children and widows. They truly do exhibit the loving hands of God! Abel Faz-vez (learn more) Abel along his wife are two amazing people. Their compassion for children in their community is beyond comprehension. Along with the assistance of a church family, they care for over twenty orphans in their home and care for another twenty children in the community. They do an amazing work in the face of unyielding hardships. Erin Mitchell (learn more) Erin continues to care for the small children at the orphanage "Orphanage Missao Para Juventude". Erin’s love and dedication for these children through the years has been a constant encouragement and reminder of God’s love for us all. Erin has the responsibility for teaching and caring for more than thirty pre-school children! Your donation amount will be received starting today, either each day, week, month, or year, depending on your "How Often" selection. For example, if you selected "Weekly" and chose 3 for "How Many Times," then you will start donating this amount today, then one week from today, then two weeks from today, and your donation would be complete. Please feel free to include a note indicating which partner you would like your gift used for. Partners are listed above under "Online Donation". 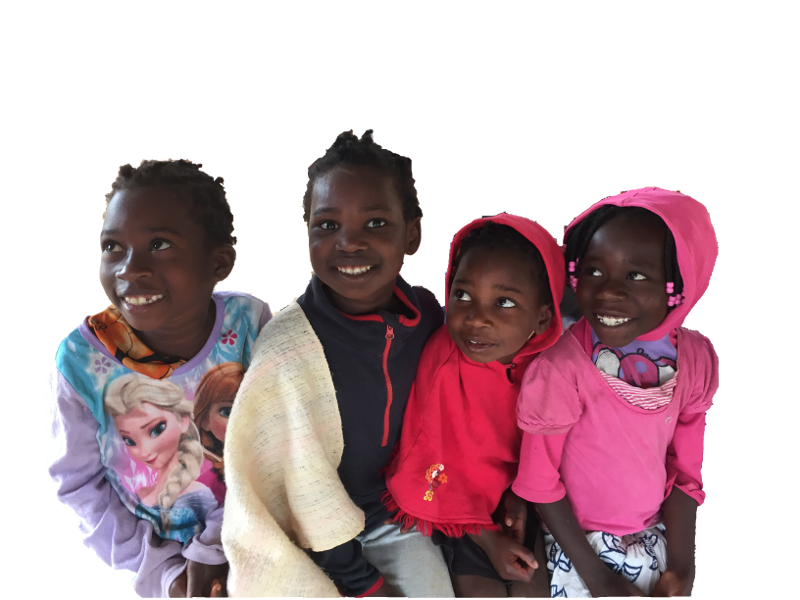 Caring For Orphans – Mozambique is tax-exempt as a charitable organization by the Internal Revenue Service under section 501(c)(3) of the IRS Code. Your gifts are deductible for income tax purposes. You will receive a statement at the end of the year documenting your contributions. This statement will support your deduction for income tax purposes. 100% of your donation will be used to help the children.